A few weeks ago I cracked the screen on my I-Pod. Thank goodness I had a warranty and was able to get a new (refurbished) one. However, I realized that my cover was not good enough. I had an idea of what I wanted but it was only last week that I was truly able to envision it. 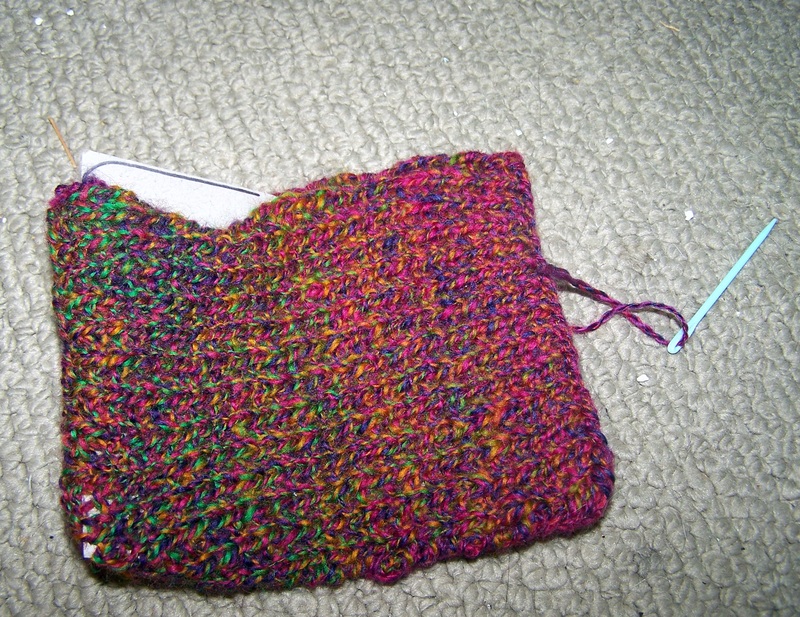 This is knit with my own homespun, but it is a sock weight yarn. 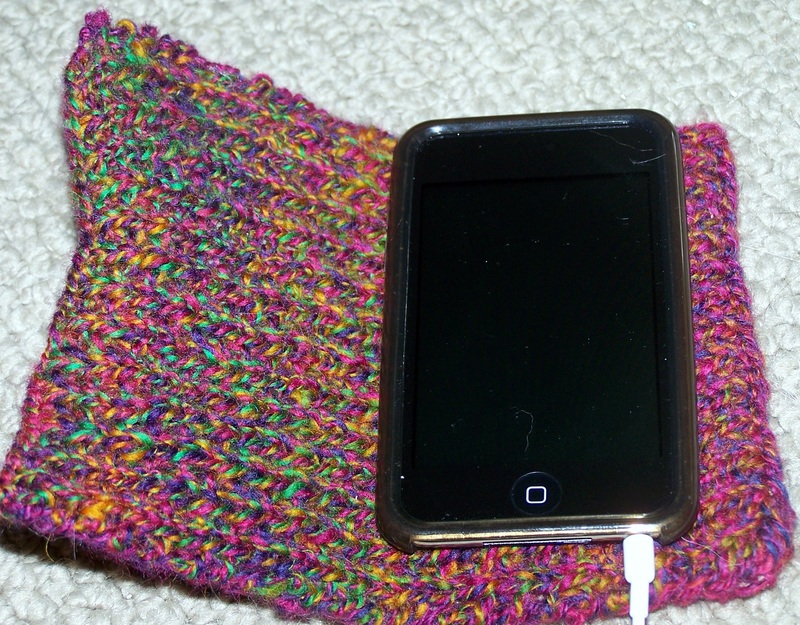 It is a simple pattern but looks fantastic and knit in wool, will protect your I-pod from minor damage as well as getting wet. Repeat until it measures 5 inches long. Do a second rectangle as above. Cut a piece of cardboard out that is 4 ½ inches by 5 inches. Fold this in half and stick under a book for a few hours so it stays folded. Using a whip stitch, seem together the two rectangles, with the cardboard in between. Then fold this over and using the whip stitch again, seem just the top and bottom edges, leaving enough space for the I-pod. 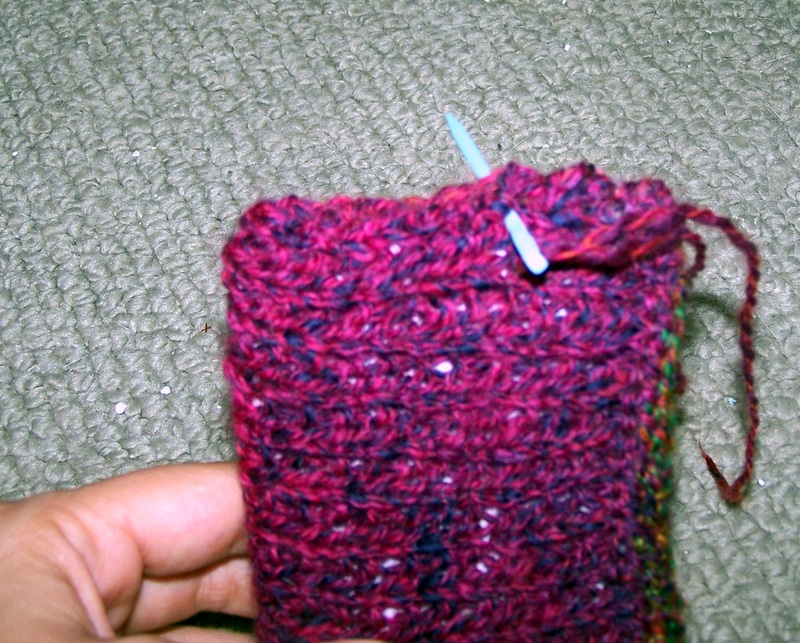 Create a 2 ½ inch 3 stitch I-cord with double-pointed needles. Sew these into the inside of one side of the I-pod cozy. 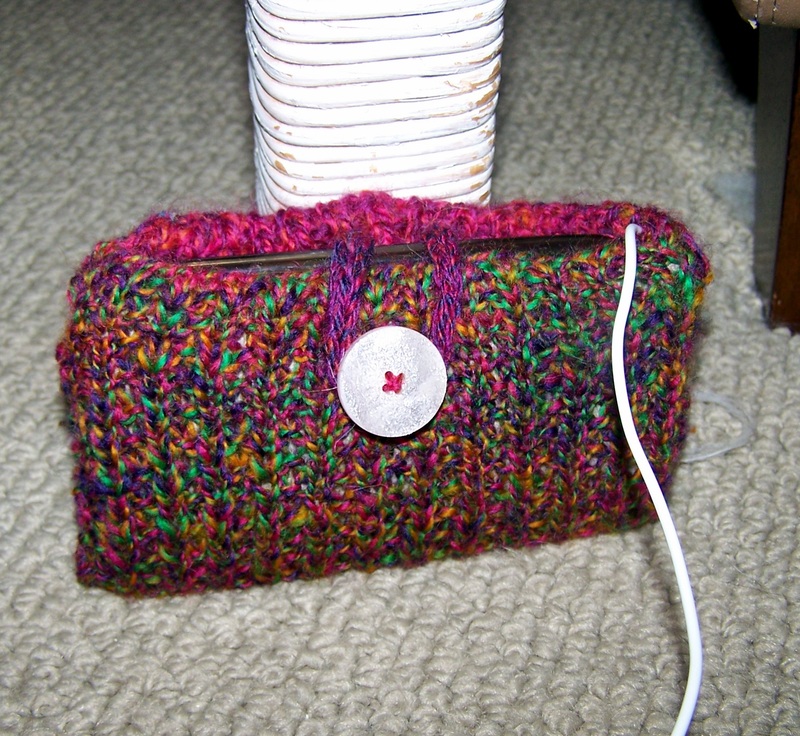 Sew a button onto the front of the cozy and use the I-cord to keep the case closed.